We are in the middle of our Baking Memories Sweetstakes and we are having so much fun! Winter is our favorite time to spend hours in the kitchen with friends and family making delicious food and treats. We’re celebrating with our biggest giveaway of the year! 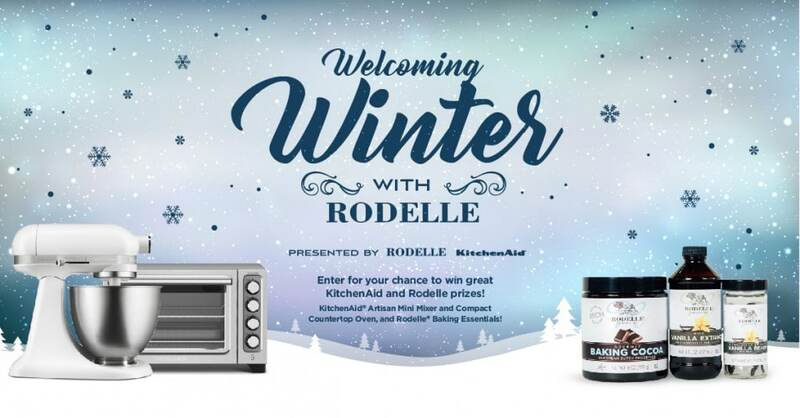 With 10 chances to win, Rodelle couldn’t be more excited to get in the kitchen and bake up some memories with you! You can enter in many ways – just get started with your email address or Facebook account in the widget below! The Baking Memories Winter Sweetstakes is open until January 2nd, 2019 so enter often for more chances to win! We’re also running this contest on our Instagram page where we will select one additional grand prize winner and three additional first place prize winners! Be sure to follow along on our Instagram page @rodellevanilla for more information! Once you’ve entered the contest, share it with friends and family to spread the love. Then, check out our collection of more than 400+ recipes for ones that your family will love making together and sharing around the table.